A long time ago in a land not so far away, an imperial Pope repeatedly battled rebel forces. Those wars killed thousands, split Christendom, and spawned anti-Popes who joined the rebel alliance, brazenly challenging the authority of God’s Vicar on earth. Into this corrupt, brutal, turbulent world was born Catherine, the daughter of a modest Siennese cloth dyer. Now famed as the great St Catherine of Siena who changed the course of the Church and of European history, this child was early noted for her simple goodness, her great intelligence, and her remarkable courage – even in the face of the dangers and atrocities that characterized those dark times. St. Catherine of Siena and Her Times tells the moving tale of Catherine, whose call to live a cloistered life of prayer and penance was trumped not only by the social needs of her day (poverty, plague) but by the explicit orders of the Pope, who, hearing of her remarkable powers of reconciliation of enemies, called her out of obscurity to mediate between the warring parties, sometimes even at the risk to her life. Never partisan, Catherine used her access to the Pope to nag – that’s not too strong a word – the Pope to expunge from the Church the vices and luxuries that in those days had corrupted it at all levels. Too, she demanded that he return from the security of exile in France to his proper place in Rome, where the blood of martyrs had consecrated the soil. 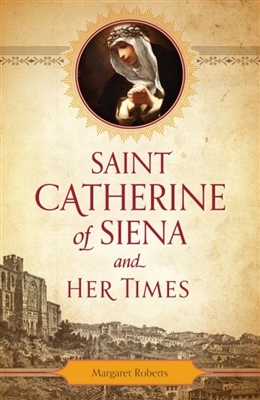 From letters Catherine sent to popes and politicians, cardinals and kings, as well as from the written accounts of many friends of Catherine, author Margaret Roberts has crafted the moving tale of this holy 14th century woman who rivaled in stature and influence the storied prophets of the Old Testament – and whose life serves as a noble example for Christians in our own turbulent times. The woman whose faith remained steady in a world – and a Church – shaken and rocked by corruption, scandal, apostasy, and bloodshed. For Christians, our times are rough, and are likely to get rougher as aggressive secularism comes to dominate ever more aspects of our society. 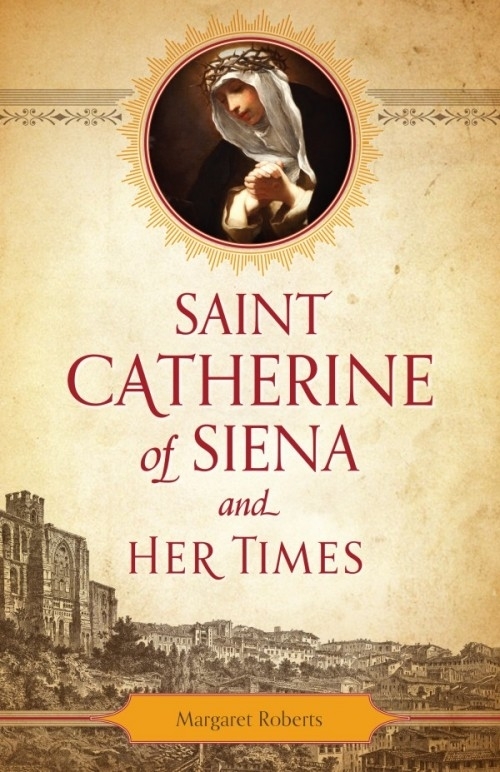 Rather than letting discouragement overtake you or confusion about how to act amidst conflicting demands in ugly times, turn for inspiration to this moving biography of St. Catherine of Siena, one of the greatest political figures of the 14th century and one of the greatest saints of all times.